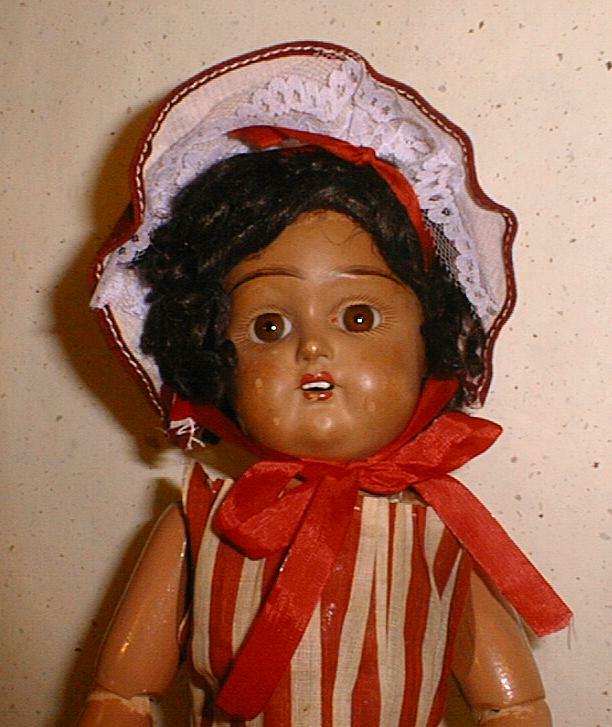 The doll in red stripes is a true antique doll, 16" tall, with a composition body, circa 1900, believed to be in her original clothes and wig. 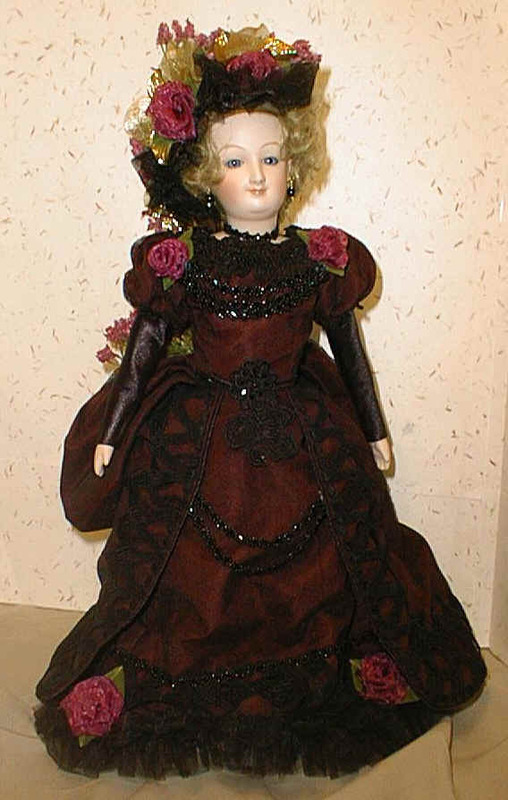 The only mark on this doll is "35". 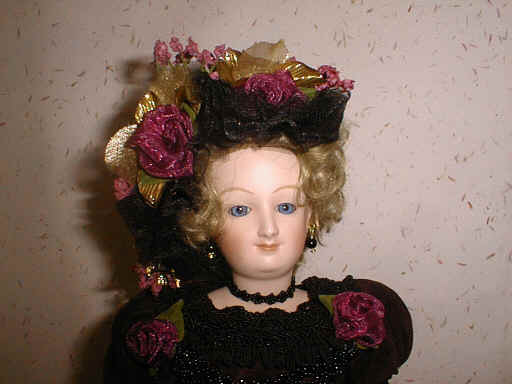 She is believed to be German. 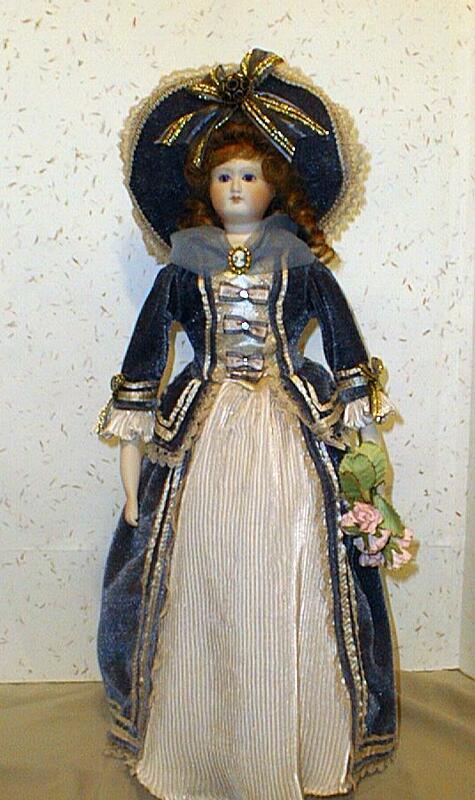 The little doll in the gray coat in the third picture is a 10" French doll with a porcelain head, circa 1922 and she is marked "Unis France". The one in back of her on the right and also shown in the last picture is an 11'" porcelain doll marked Armand Marseille, mold number 1894. 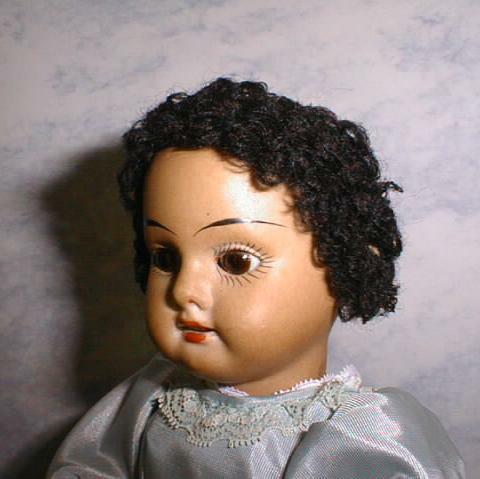 She is a German doll and has curly yard-like hair. 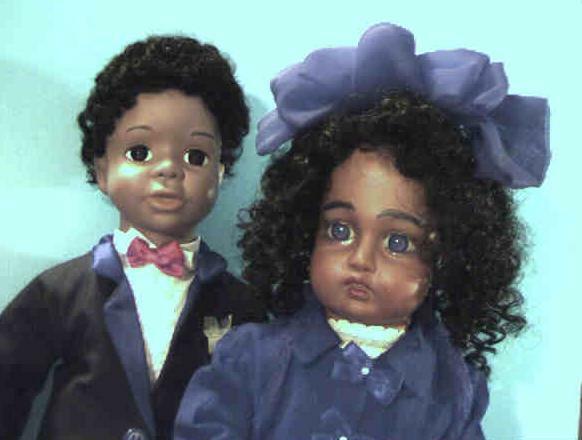 Neither of these last two dolls are in original or appropriate clothing at this time - they will ultimately be redressed. 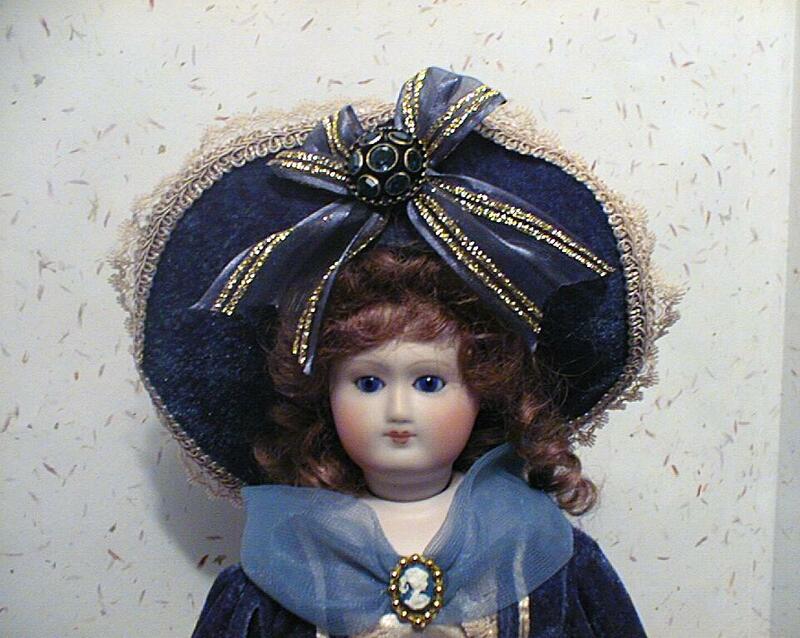 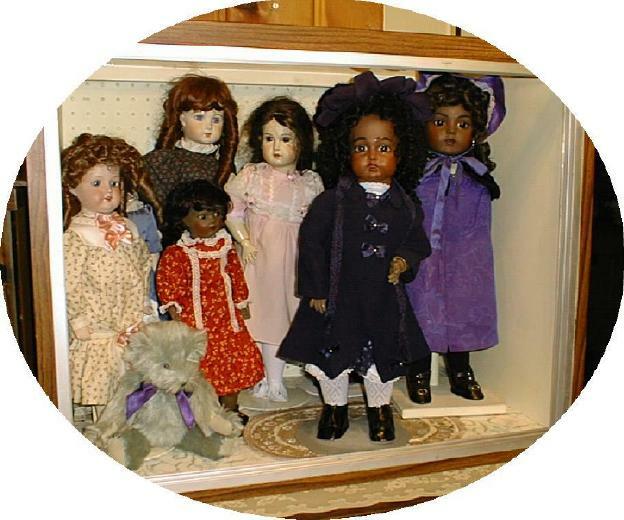 The dolls below are a mix of true antiques and reproductions. 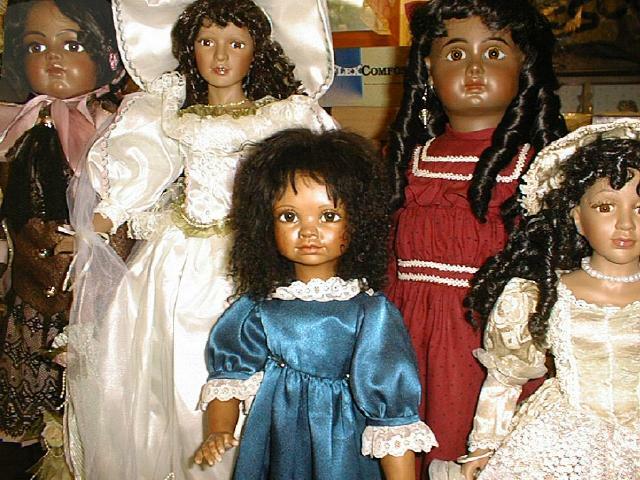 All of these dolls have porcelain heads with cloth or composition (a wood mixture) bodies. 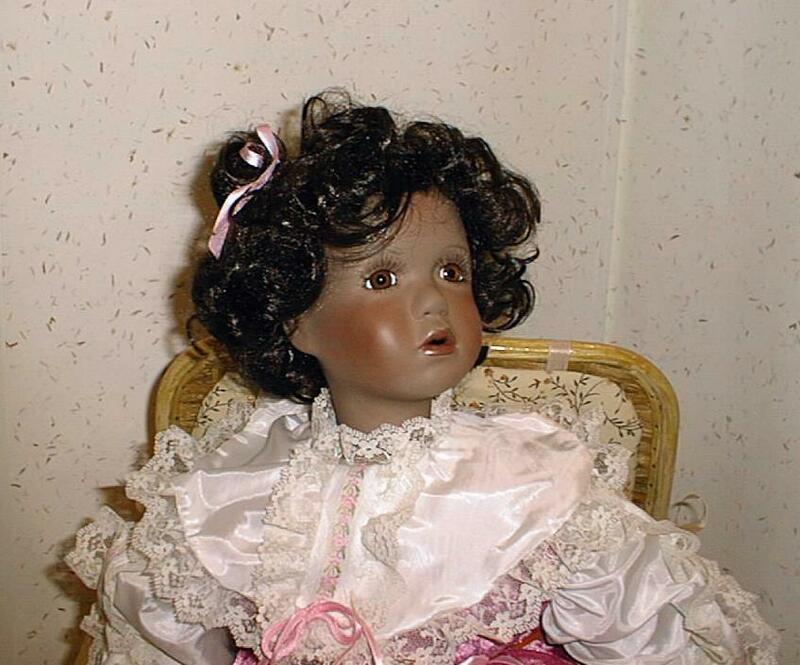 Tess - a reproduction Circle Dot Bru. 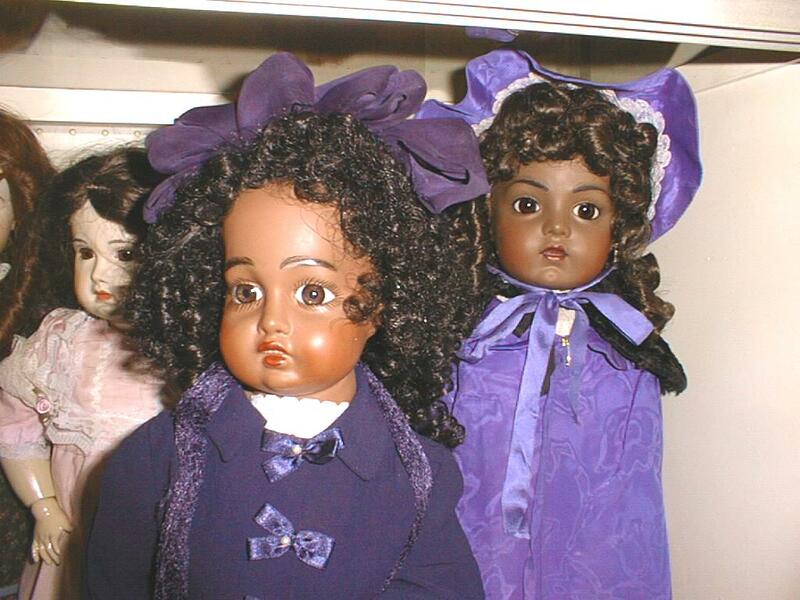 Behind Tess is another black Bru reproduction doll. 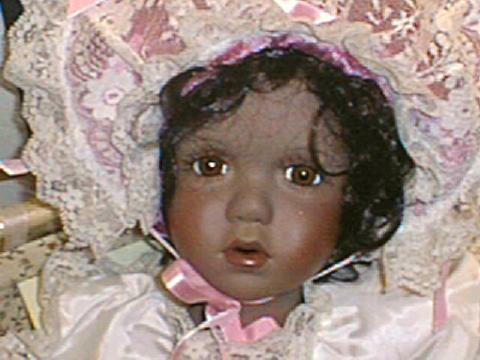 The bluish picture is a captured video picture of Tess with Jeremy, a doll by modern artist William Tung..
* The doll in blue above is not actually considered "antique-looking". 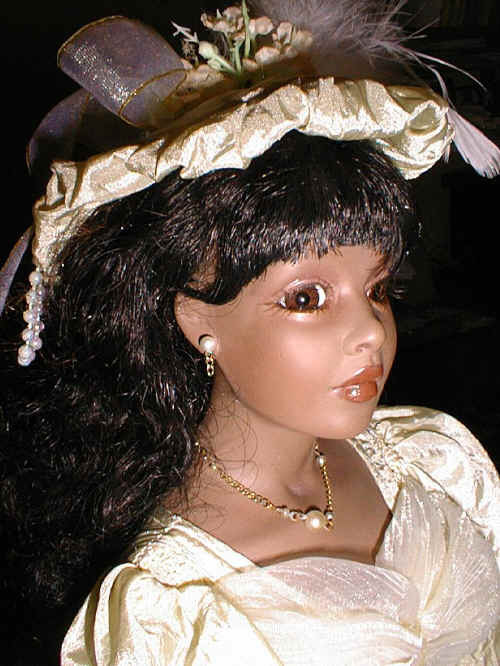 But, neither is she modern - she is 21" tall and was made by an Oregon artist named Tonny Blair. 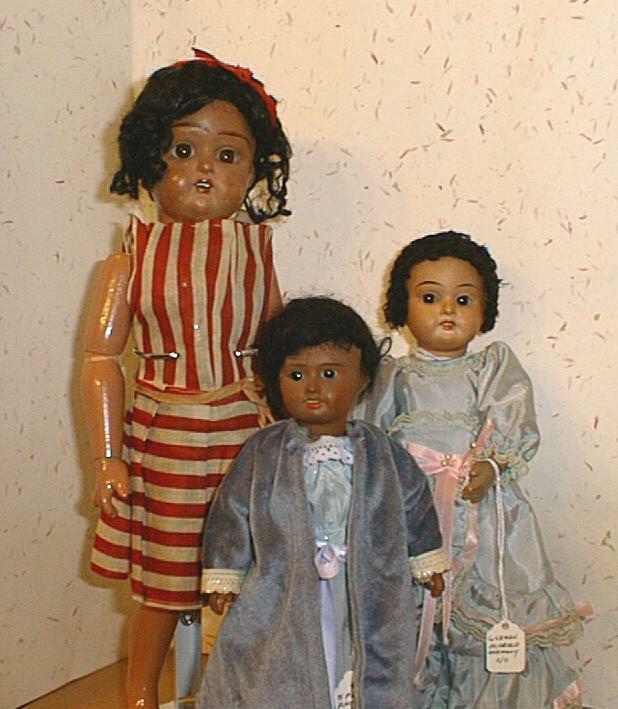 The tallest doll in this group is the 29" Bru reproduction. 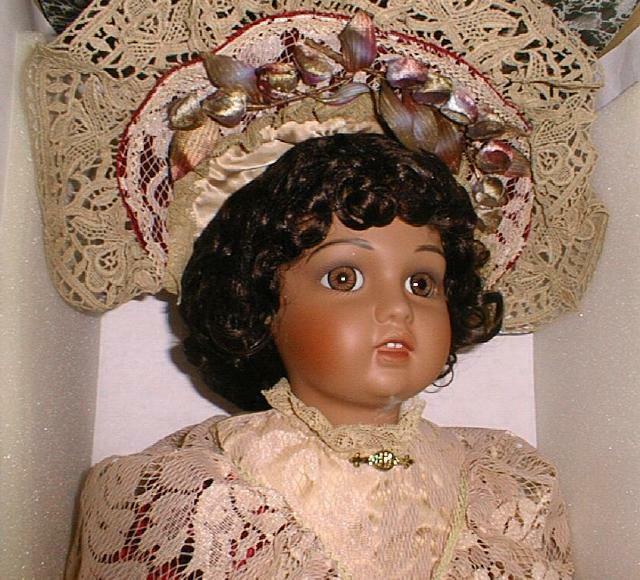 You saw her above with the Jumeau. 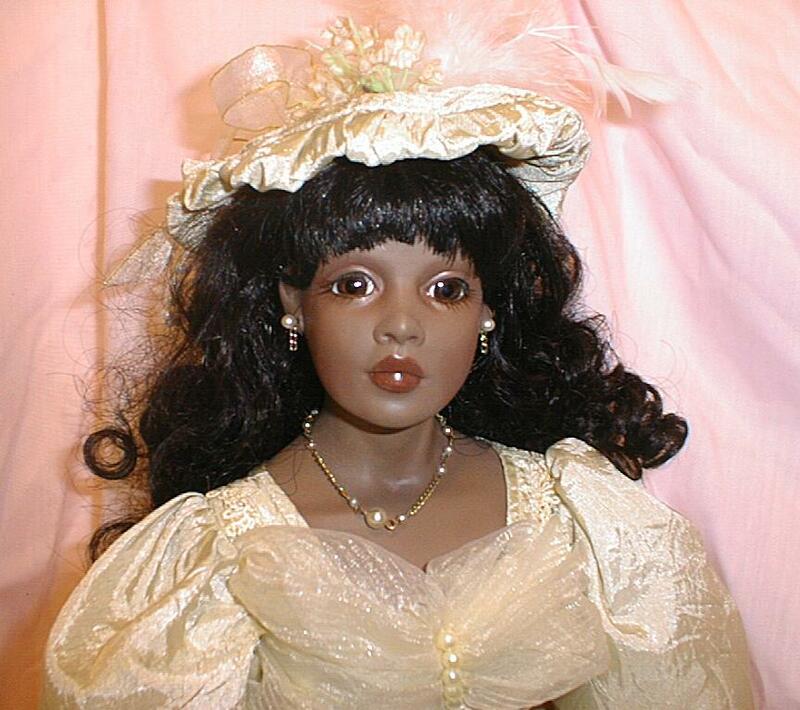 Rachel Rachel - This 22" doll has the most beautiful creamy, lacy outfit. 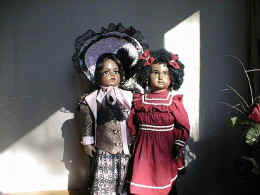 It's been hard to capture with my camera. 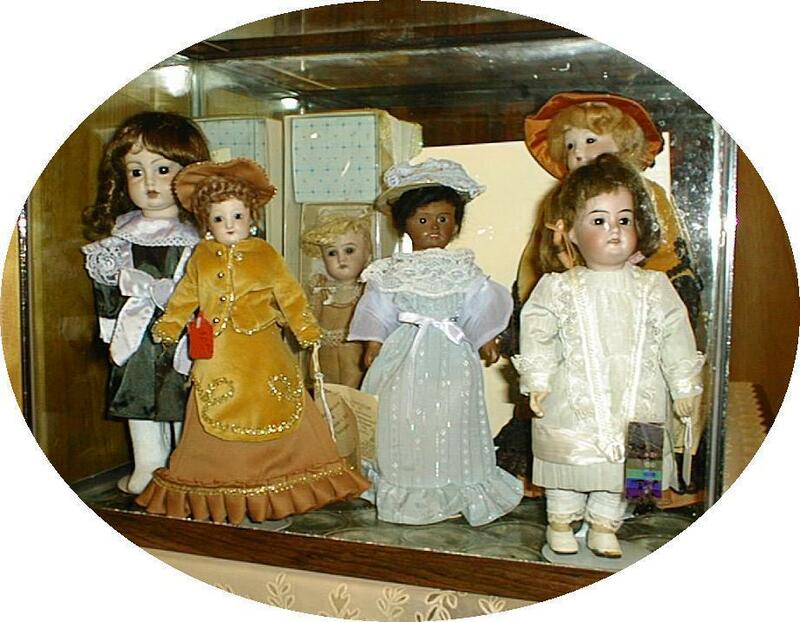 Here are 2 views - different times.